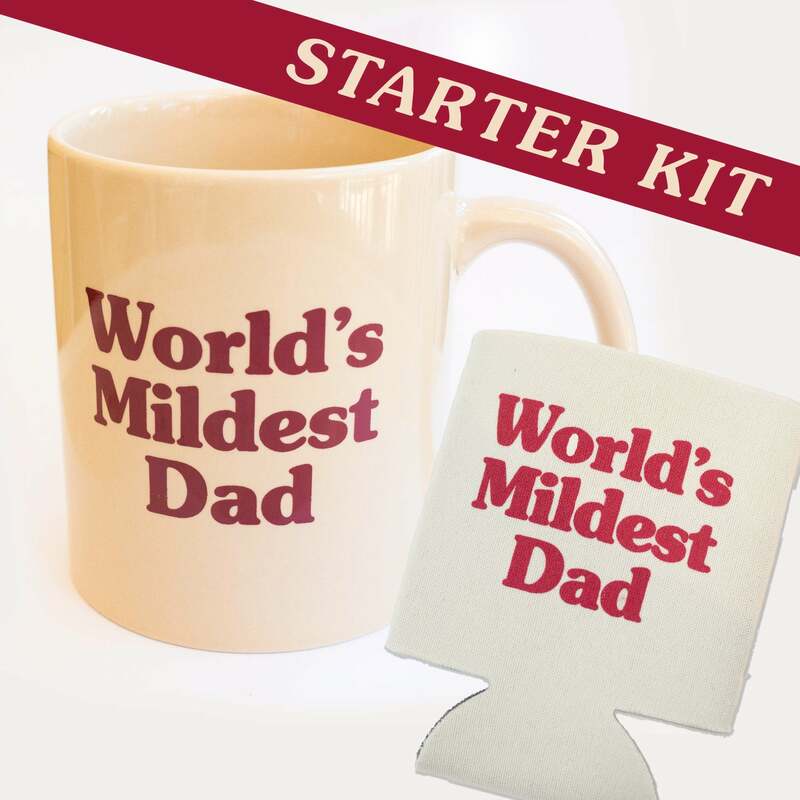 A Mild Dad needs to let the world know he is MILD...this is the Starter Kit. 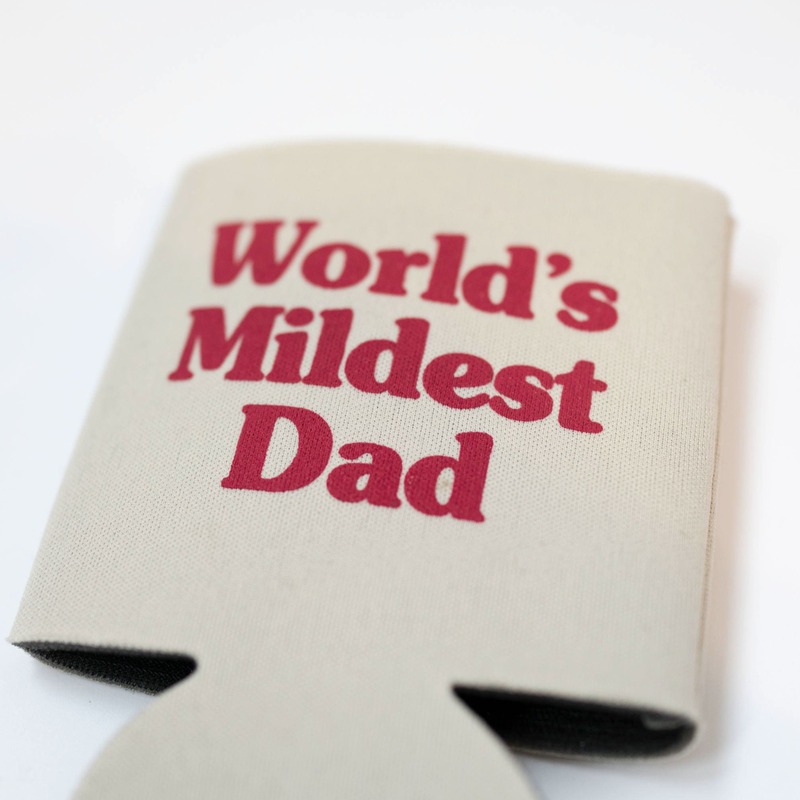 What do you get the dad who has everything? Once a party monster, but after having kids, settling down and being a responsible adult, its was time to get MILD. This is for the best dad who has a sense of humor, and some possible stories of being a rage-monster back in the day. 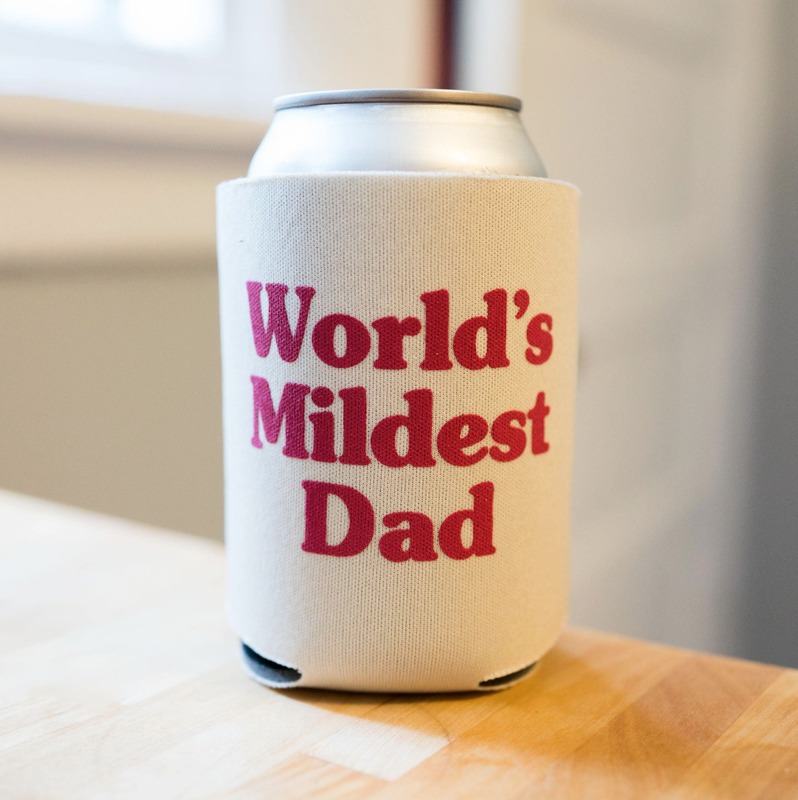 This is for the WORLD'S MILDEST DAD. Coffee Mug + Beverage Cooler. This is a standard issue 11 oz. cream colored coffee mug with maroon ink. 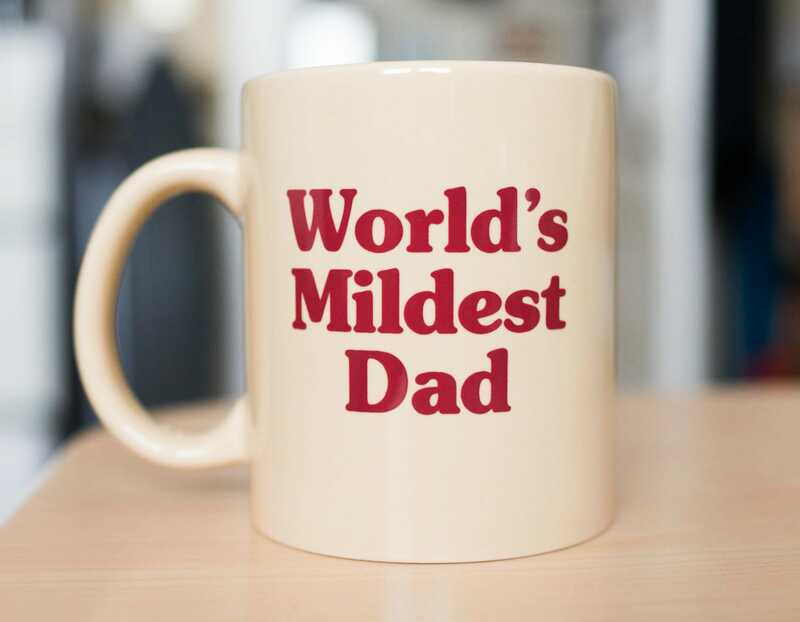 The print is on both sides of the coffee mug so no mater if you're left or right handed, the world will know that you're the mildest. And a standard foam beverage Cooler. Ships in a super sturdy box with extra protection to keep this brutal mug safe. If you order with another item, they will be shipped separately to make sure all things arrive in tact.